Since its inception in 2006 CAME has established itself as the premium market-leading brand in the photography market. It is the only nationally recognised brand in its sector, making it truly distinct as a franchise concept in our country. We pride ourselves on the combination of world-class customer service, market-leading standards of photography and a unique and contemporary range of products. Photography innovation and customer experience is at the heart of CAME’s business, and we are constantly pushing the boundaries of style, presentation and client value. All CAME staff are trained to the highest standard ensuring they produce the work and experience that is synonymous with our brand. Over 1 million pieces of CAME hand-made photographic products are displayed in homes across Greece and every single item started life at our Athens based production facility. At CAME we constantly strive for quality in every aspect of the production process. The unique images we create are processed in our state of the art photographic laboratory using the latest fibre-optic and laser print technology. Your photographs are then combined with our hand crafted products by our team of dedicated specialists. We are proud that every CAME product is Greek made and prior to delivery each one is inspected by our quality control team. To further protect the integrity of the product , each item has its own unique holographic seal applied. This stamp of excellence is the final approval that each product has passed our rigorous quality procedures. · We offer partnerships with some of the most recognised brands. ex. 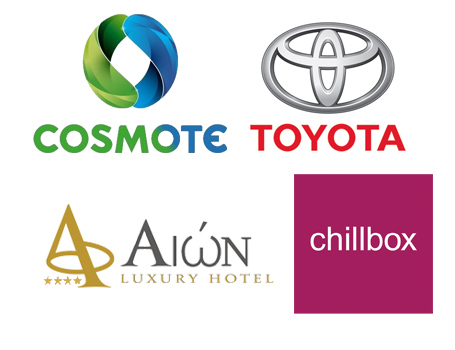 COSMOTE, TOYOTA POLIS, CHILLBOX etc. This means that as soon as you will open your studio you will already have your first customers. · You'll be part of a company with a unique concept. · A proven business model with strong earning potentials. · Receive ongoing training and support from the manager of CAME. Regardless of background our application and approval process makes sure that anyone who does become one of our franchise possesses the qualities and skills that will give them every opportunity to succeed. · Have a strong interest in photography and a desire to move from “interest” to passion. · Have self-determination and an inner desire to own and run your own business. · Are comfortable leading, motivating and managing a small team of people. · Possesses the discipline to work under a proven method of doing business. · Is commercially aware – we are not looking for a 9-5 “behind a desk” franchisees. A basic grasp of small business administration will be needed – we can help with the rest. · Recognises the value of working within a branded business model. Qualities and skills need to be matched with knowledge. Successful applicants will complete an initial training programme before they start in their studio. After completing your own research on CAME, you will then be asked to complete a short application form. Following submission and review of this form, our franchise team will be in touch to arrange an interview with the manager of our franchise. At this visit you will be interviewed and formally assessed. Once we are satisfied you meet the criteria to own a CAME Studio, we will then set write a development plan for you to open your studio and becoming part of the CAME family. A few things to think about before you apply. Be aware that franchising is not for everyone. To own and operate a CAME franchise you need the managerial and personal skills necessary to run a business employing a small creative team of people whilst providing your customers with a five star experience. It should come as no surprise then, that our selection process is rigorous.